Held in both Bangkok and Jakarta in August 2018, the two-day Broiler Feed Quality Conference attracted over 400 participants who engaged with renowned industry experts on issues including nutrients, ingredient selection and managing broiler chicks in the first seven days. The conference worked within the framework of ‘science, trials and application’, with 16 world-class speakers and industry specialists presenting the latest in r&d and giving practical take-home messages to help improve farm productivity and profit margins. Delegates were also able to discuss with speakers and network with other participants during the ‘Meet the Speakers Cocktail Party’ at the end of Day 1. Good food and drinks, as well as the photo-board of pictures taken during the day created a buzz among delegates. Lucky draws for exclusive meals, hotel stays and books, as well a birthday celebration were held, which altogether added a lighter touch to the heavy program. The evening before the conference in Bangkok, Asian Agribiz hosted a well-attended welcome cocktail while earlier in the day DSM hosted a seminar for clients. Before the conference began, participants and speakers honoured Professor John Brake of North Carolina University in the US, who passed away on July 31. 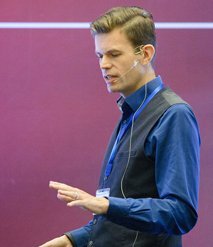 Robert Redman of DSM talked about how Dr Brake bridged the gap between academia and industry. “His favourite phrase was ‘listen to the chickens!’ He taught the industry in Asia not only about understanding the problem but to think about it and find solutions,” said Mr Redman. 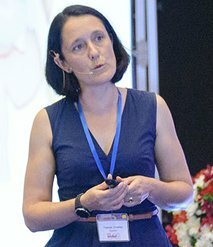 In her keynote presentation, Tamsyn Crowley, Director of Poultry Hub and Associate Professor of University of New England in Australia, discussed how a healthy gut microflora will give chicks a good start. Dr Crowley highlighted recent research showing strong evidence on the role of early-life colonising microbiota in host immune programming, however such data in chicken is lacking. Intestinal microbiota plays a key role in growth-related traits such as feed digestibility and uptake, as well as in health-related traits such as immune competence and tolerance. A healthy gut microbiota plays important roles in assimilating nutrients from foods, producing vitamins and essential amino acids and preventing harmful pathogens from colonising the gut. Ideal gut microbiota can increase agricultural productivity. As Vietnam and Indonesia have banned the use of in-feed AGPs beginning January 2018, farmers are adapting to new production conditions and to alternative ways to prevent and treat new disease outbreaks. Robert Renema, Producer Programs Manager with Alberta Chicken Producers and poultry consultant from Canada, said a multifactorial approach with a mix of AGP replacements will enhance bird health. He suggested that to evaluate AGP replacements properly, we need to learn how they interact with the gut and immune system of the bird. This revised approach could mean we need to revisit previously tested products as potential players. High efficiency, fast production cycles and globals trend on reduced use of antibiotics, have left little error in formulating the best diet and nutrients for chicks, thus proper nutritional management is increasingly important. Luis Romero, Senior Scientist at DSM Nutritional Products, brought up four key points in boosting broiler health through nutrition: 1) accelerate gut development; 2) create an anti-inflammatory environment for chickens; 3) manage oxidative stress; and 4) support the immune system. With the rapid production cycle, it is critical to provide the intestines with dietary stimuli at the right time, so chicks can develop theie gastrointestinal tracts optimally. These stimuli include supply of feed and water, which speeds up the development of villi in newly-hatched chicks, as well as a sufficient supply of structural particles and insoluble fibre essential for digestion of protein and starch. Chiang Mai University Assistant Professor Suwit Chotinun shared Thailand’s experience in addressing antimicrobial resistance (AMR). In Thailand, AMR-related mortality amounted to 38,000 cases while infections numbered 88,000 per year. To address the problem, the Thai government created the 2017-2021 National Strategic Plan to Control AMR, a more targeted set of measures to combat the rising resistance. This in addition to measures that have been in place since 2010. Dr Suwit said that ultimately these measures should be translated into action to achieve the desirable target given the multiple stakeholders, agencies, regulations and policies at different levels and settings. While soybean meal (sbm) remains a key ingredient in poultry feed formulation, cost permitting, canola meal can be incorporated in poultry feed, said Robert Swick, Professor of poultry nutrition at the University New England in Australia. He noted that canola meal has a lower level of lysine of about 2.05% versus 2.6-3.4% in sbm. Because of this, using canola meal would need additional lysine supplementation. Lysine is one of the most critical amino acids for poultry, and lysine deficiency would lead to a significant drop in flock productivity and health. As the need for alternative feed raw materials grow, there is growing interest in barley and sorghum, which are the fourth and fifth world’s most-produced cereals. 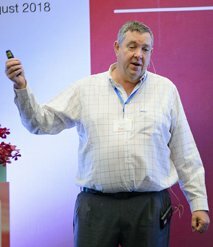 Tim Walker, a consultant from Australian Export Grains Innovation Centre said that while sorghum and barley are not widely used by feed producers in Asia, they can and should be used if prices are economically attractive. Both grains are proven and reliable for poultry. Barley can be included in broiler feeds, though it is more suitable for breeders and layers due to lower metabolisable energy. On the other hand, sorghum is nutritionally similar to corn but has higher CP. Phytate is commonly known as an antinutrient, reducing protein and mineral absorption especially among monogastric animals like chickens. Alex Wu, Regional Technical & Business Development Manager at Adisseo Asia Pacific analysed the level of phytate among different ingredients, noting that oilseed meals showed higher total phosphorus and phytate phosphorus levels than cereals. But access of exogenous phytase to phytate can be limited by consumption of insoluble non-starch polysaccharides as phytic acid is located within the cells in feedstuffs of plant origin. With continuous genetic improvement, today’s broilers require less time to reach market weight. Broilers now are also capable of producing 23% of its live body weight as breast meat. These changes have resulted in a shift in the energy and protein requirement of broiler in that today’s broilers are much more responsive to dietary protein and less to energy concentration, said Usama Aftab, AB Vista Technical Director for Asia Pacific. In addition to the absolute requirement of energy and protein, it is also likely that modern genetics require a different pattern of ideal protein ratios, he said. Hence, producers are challenged to find the optimal nutrient requirement for chickens in terms of energy and amino acid density, as well as the ideal amino acid ratios. Broiler performance and good health could be achieved by adequate supply of nutrients, which is mostly affected by nutrition specification, feed formulation and ingredient quality. Somchit Sooncharernying, a nutritionist from Aviagen Inc in Thailand said formulating the most suitable feed for broilers in modern poultry farming is challenging because variations in nutrient compositions exist even among similar ingredients, depending on source, region, moisture content and processing methodology. This year, in response to the feedback from last year’s delegates, Asian Agribiz decided to run a full 2018 Broiler Feed Quality Conference in its Jakarta, Indonesia leg. Chee Seng Huan, Director for Nutrition Services at Malindo Feedmill, gave a special presentation on AGP-free broiler production in Indonesia. This, coupled with the global perspective presented by Robert Renema, gave delegates a chance to review and compare local and global initiatives. Dr Chee said there is need for alternative products that could replace AGPs without sacrificing productivity or product quality. He said alternatives such as probiotics, prebiotics, synbiotics, organic acids, phytogenic agents, enzymes as well as transitional metals like zinc and copper have been widely applied. Therefore, “a more holistic approach in formulating a sound strategy to replace AGP is needed. A multi-pronged approach that takes into consideration factors affecting the immunology, microbiology and nutrient supply status of the birds is likely to bring better success in this antibiotic free era,” Dr Chee concluded. 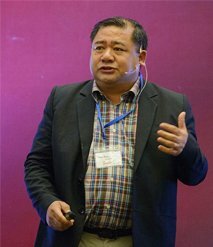 Phang Siew Chung, Regional Technical Manager-Poultry at DSM Nutrition Products Asia Pacific underscored that gut health is paramount to the performance and welfare of poultry. “A holistic approach involving management, health and nutrition and their interaction is needed, however enzymes, organic acids and essential oils can form effective solutions to maintain gut health,” he explained. Meanwhile, Lee Ee Teik, Regional Sales Manager-Poultry of Chr. Hansen said it is never too early to develop gut health by applying early feeding with probiotics. He advocates establishing positive microbiota right from the egg and the newly hatched chicks. “A healthy gut helps with better nutrient absorption, giving you healthier birds, which translate to better profits,” he said. 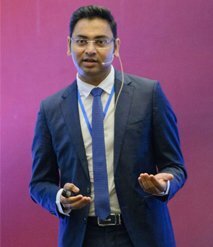 While there are many probiotic products available in the market, Sumit Saxena, Regional Business Lead Gut Health Portfolio at Adisseo Asia Pacific, said choosing the consistently performing strain is often a challenge. He shared six criteria to select the right strain, namely: safe to host (not causing cyto-toxicity or hemolysis), stable to feed processing and gastrointestinal conditions, benefit intestinal health through improving gut barrier function and enhancing gut immunity, able to improve birds’ performance, does not contain antibiotic resistance genes, and not too difficult for end users to conduct quality check. For his part, Tim Goossens, Business Development Manager Digestive Performance at Nutriad believes that butyrate has the potential to trigger important gut health stimulating mechanisms and that, at least in some conditions, it is not an “always beneficial everywhere” product. “At least in some cases, butyrate might be recognised as a warning signal by some parts of the gastrointestinal tract, which has important consequences on the application of this molecule as a gut health promoting feed additive,” he said. In this AGP-free era, management during the starter phase must change, said Mr Renema. “We must focus on optimising flock health and quality brooding. Good maternal and broiler vaccination programs should be in place. Quality incubation, single-stage when possible, should also be a focus,” he said. Meanwhile, Raul Elias Lopez, Regional Technical Service Manager-Broiler Specialist at Cobb Asia, said that in planning feeding, watering, heating systems for chick placement, it is important to provide the chicks the same conditions and guidance that hens do. “It’s mainly at the farm level where results can be varied as conditions of house construction, equipment used, chick placement and brooding systems implemented, and feed quality differ in so many ways from country to country, from company to company, and from farm to farm. “To maximise genetics, vigilance and attention farm management details are crucial to success,” he emphasised. Skeletal integrity is an essential part of the overall health and viability of the broilers. Structural soundness is required to achieve optimal field performance and for effective processing of the carcass, said Rick Kleyn, Principal at Spesfeed Pty Ltd.
“As our genotypes improve, achieving normal skeletal structure will likely become more of a challenge as birds will become heavier at a younger age. Bone development is largely determined by the interaction between calcium, phosphorus and vitamin D3,” he said. • Water consumption is related to protein level of diet. • Excess and indigestible protein increases wet litter and odour and reduces health and welfare. • Protein in broiler diets can likely be reduced another percent or two if valine, isoleucine and arginine become cost effective. • Glycine and serine are important non-essential amino acids. • Potassium does not appear improve or reduce digestibility. 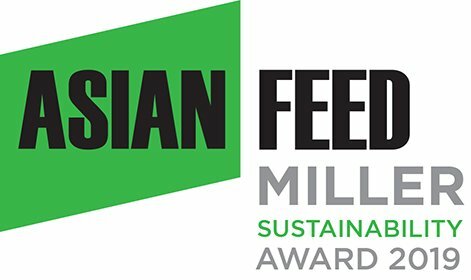 On the sidelines of the Broiler Feed Quality Conference 2018, Rex Holyoake, publisher at Asian Agribiz and Kurt Wegleitner of Addcon unveiled the Asian Feed Miller Sustainability Award 2019. The award recognises the livestock feed producer in Southeast Asia and South Asia that achieve greatest progress towards sustainability in their operations the past 12 months. In assessing feedmillers’ practices and commitment towards sustainability, a panel of competent and independent judges from Asia and Europe will evaluate performance of nominated feedmills based on criteria like manufacturing process, sourcing of ingredients and product claims. To be eligible for the award, a feedmill must hold relevant licenses, certificates and permits; demonstrate deep understanding towards environmental, social and economic impacts of their operation; and have a sourcing assessment policy when making specific sustainability claims for product. Evaluation will be based on the standards of the Pollution Control Department and Department of Livestock Development in Thailand. It encompasses criteria like energy and water used, emission of greenhouses gases, waste generated and treatment, as well as effluent discharge generated during manufacturing process. Besides, feedmills will also be judged according to ingredients procurement process, such as sourcing policy and tracking, sustainability claims, AGP-free claims and etc. Entries for the award will close on May 31, 2019. Tejvinder Singh Chattha, Chattha Group, India. 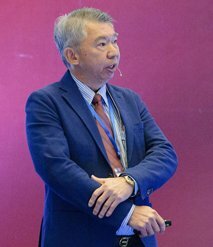 Zhang Lei from China-headquartered animal feed producer New Hope Indonesia said that he learned a lot from the conference, especially on topics discussed by Rick Kleyn, Robert Swick and Robert Renema. He is sure to attend next year’s conference. Dede Slamet Ruchyadi, an Indonesian animal nutrition consultant, said he enjoyed all the presentations. Besides being a platform for information exchange, he thinks the conference also helped improve the capability of human resource in the country’s broiler nutrition sector. A formulation manager from a local feed company who asked not to be named said he appreciated the conference inviting a local speaker from Malindo Feedmill. He hopes other speakers from local companies can also get the stage to share their experience and findings in local situations. Since there was a speaker from Thailand’s academic sector, he also wants academicians and researchers from Indonesia to be invited to speak on specific topics like locally available alternative raw materials.